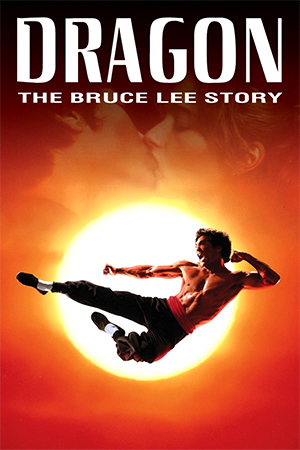 As of 2004 this 1974 Taiwanese film is the earliest Brigitte Lin movie available on DVD, and may actually be only her second movie after the 1973 debut ‘Outside the Window’. Lin’s Taiwanese career leant towards romantic melodrama as much as her Hong Kong career favoured action. ‘Ghost of the Mirror’, while incorporating supernatural elements, is a bittersweet tale of forbidden love in a heartless world. ‘A Touch of Zen’s Shih Chien is an upright scholar retreating to a secluded house in the mountains to work on 100 copies of Buddhist scripture. Unfortunately, his new abode is cursed, having a history of men falling to their deaths in the garden well. 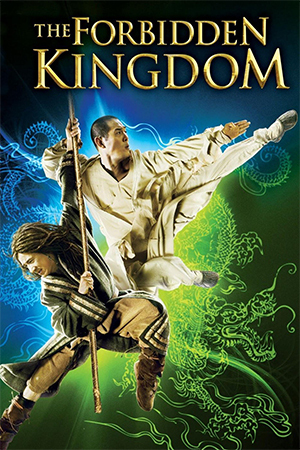 The scholar soon discovers the enticing sight in the well is Su-Su (Lin), a young girl driven to suicide many years earlier and now forced to entrap men to satiate her master, a poisonous dragon. An expedition into the well unearths an antique mirror that acts as a portal for Su-su to visit the scholar. Soon, they are kindling a gentle romance, but society’s conventions and Su-su’s demonic master threaten their idyll. 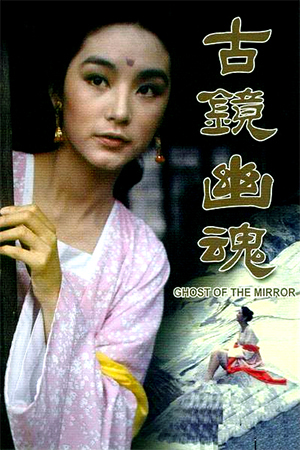 ‘Ghost of the Mirror’ draws heavily from regional legend and features elements that would reappear in ‘A Chinese Ghost Story’ and ‘Green Snake’, and echoes two stories from ‘Kwaidan’ (1965) with Buddhist scripture being used as a shield from evil and a ghostly reflection foretelling doom. But, director Sung Tsun-Shou and writer Chang Yung-Hsiang’s (who would also scripted Lin’s ‘Run Lover Run’) story of doomed courtship favours gentle romance as much as spine-chilling thrills. The central characters’ relationship is a chaste affair, there is never suggestion on bedroom activity and Su-Su contentedly cares for her man, yet forces of good and evil still persecute them. There must be a feminist reading in their somewhere! For those requiring shivers, an effectively murky score, utilising surreal sound effects reminiscent of ‘2001’ creates an uneasy mood and early sequences with the mysterious well are similar in tone to Hideo Nakata’s ‘Ring’. 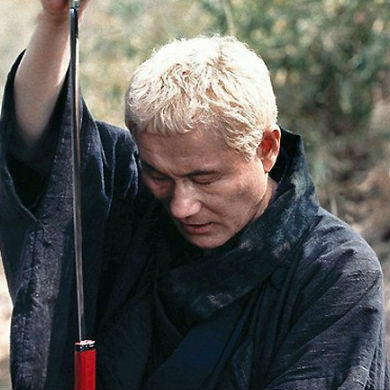 On a side note, producer Wong Chuek-Hon’s career embraced the macabre, including both Jimmy Wang’s ‘Master of the Flying Guillotine’ and King Hu’s ‘The Legend of the Mountain’. ‘Ghost of the Mirror’ unexpectedly climaxes as a creature feature, with Su-Su’s master revealing herself as an actual dragon with a hungry eye on the scholar. 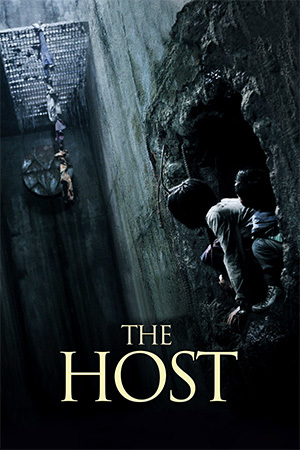 The creature effects are predictably ‘Thunderbirds’ like, but it’s still a lively denouement to a film that refuses to embrace a one genre. Lin appears twenty-four minutes in and conveys the winning charisma that would transform her into Hong Kong cinema’s favourite daughter. Sung includes moments where Su-Su appears to display murderous intent (complemented by eerie green lighting), but there is never any real doubt her heart is pure. Interestingly, in a difficult to follow subplot Su-Su is revealed as being two spirits, allowing Lin to play the character as both demure and sparkling. 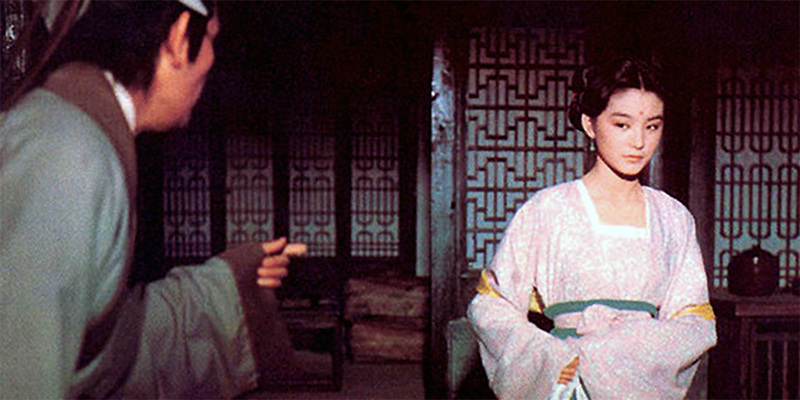 Dual personality traits would of course become de rigueur for Lin’s characters during her Hong Kong golden period.